Adam likes to use creamy peanut butter instead of the chunky that the recipe calls for. In a bowl, mix soy sauce, tomato sauce, peanut oil, garlic, black pepper, and cumin. Place chicken into the mixture, and stir to coat. Cover, and marinate in the refrigerator for at least 15 minutes, but not overnight. This will make the meat too dark. Preheat the grill for high heat. Heat vegetable oil in a saucepan over medium heat, and saute onion and garlic until lightly browned. Mix in water, peanut butter, soy sauce, and sugar. Cook and stir until well blended. Remove from heat, mix in lemon juice, and set aside. Lightly oil the grill grate. Thread chicken onto skewers, and discard marinade. Grill skewers about 5 minutes per side, until chicken juices run clear. Serve with the peanut sauce. 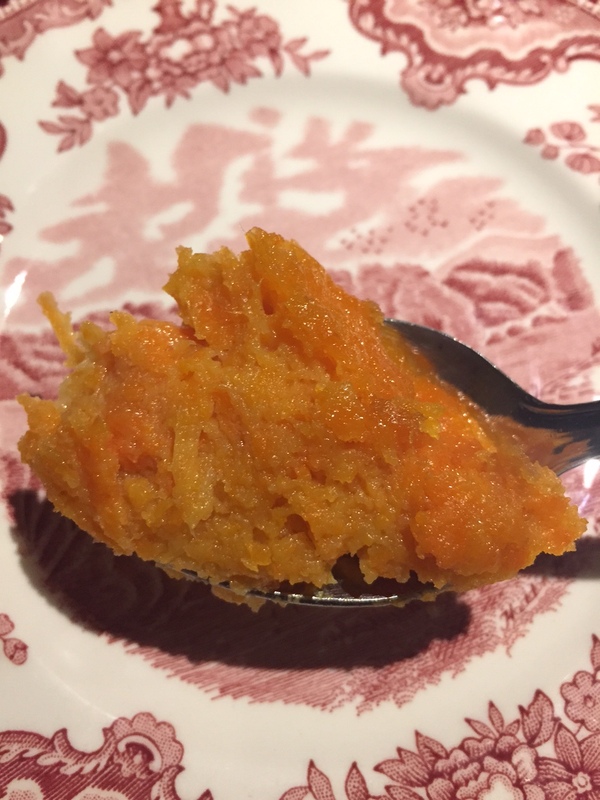 This sweet side dish has found its way onto our holiday table throughout the year. The small amount of flour can be replaced with matzo meal at Passover, and the butter can be replaced with margarine for a pareve side at Rosh Hashanah. It’s been a hit whenever and wherever it appears. Preheat oven to 350 degrees. Lightly grease a 2-quart casserole dish. Bring a large pot of salted water to a boil. Add carrots and cook until tender, about 15-20 minutes. Drain and mash. Stir in butter, vanilla extract, and eggs. Mix well. Sift together flour, baking powder, salt, and sugar. 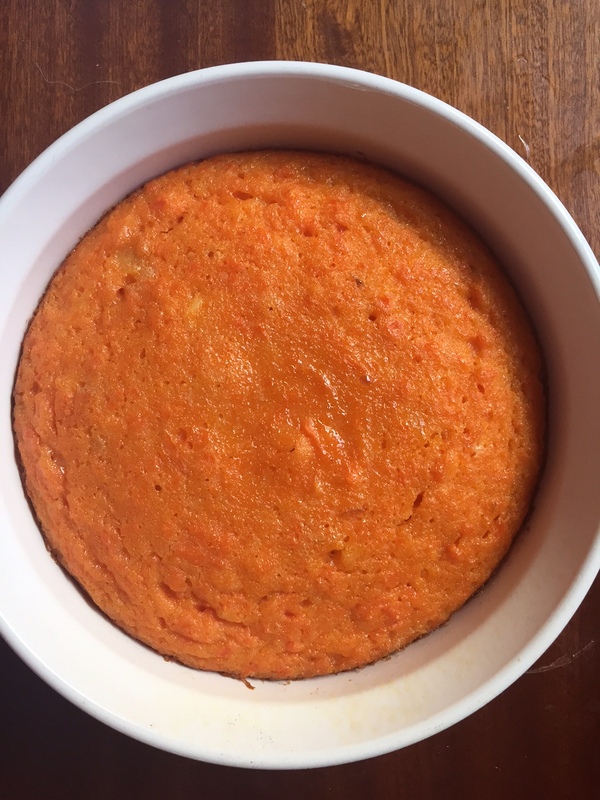 Stir into carrot mixture until smooth. Transfer to prepared casserole dish. Bake for 45 minutes. Cook noodles according to package directions. Meanwhile broil chicken six inches from heat until juices run clear; let stand 15 minutes to cool. Shred chicken with two forks. Drain noodles; set aside. In a large skillet, combine the shredded chicken and the next seven ingredients (through garlic powder, but only using ¾ tsp salt). Bring to a boil. Reduce heat; cover and simmer for 25 to 35 minutes. In a bowl, combine the cottage cheese, egg substitute, Parmesan, parsley and remaining salt and pepper. In a 13 x 9 baking dish sprayed with nonstick cooking spray, place half the noodles, overlapping them. Layer with half the cheese mixture, half the chicken mixture and half the mozzarella. Repeat layers. Cover and bake at 375 degrees for 25 to 30 minutes or until bubbly. Uncover and bake five minutes longer. Let stand 15 minutes before cutting. From http://www.cookingforengineers.com. Makes four servings. Cook asparagus spears in boiling water for 4 minutes. Remove the asparagus from the water and add the orzo to the same water. Boil the orzo until al dente and drain if necessary. While the orzo is cooking, cut the asparagus into 1-inch pieces and cook the shrimp. In a skillet, melt the butter and add the shrimp, cooking for 1 minute on each side. Season with salt and pepper. Remove the shrimp and deglaze the skillet with the chicken stock. Scrap up any brown bits and when the broth starts to bubble, add it to the orzo pot. Stir the orzo and broth over medium heat until it thickens and looks a little creamy. Mix the shrimp and asparagus into the orzo. Remove from the heat and stir in the parmesan cheese and parsley. Adam and Jenn rang in 2005 with the English Cheddar Fondue, a chocolate fondue, and this yummy and stringy one. In a fondue pot, heat white wine over medium heat (do not allow to boil). Then add cheeses. Stir until melted. Add lemon juice and garlic. Stir until completely blended. In a separate bowl, blend Kirsch or vodka and cornstarch together until smooth. Add cornstarch mixture to pot. Increase heat until mixture comes to a slow bubble. Allow to heat and bubble for a few minutes, stirring constantly. Lower heat and serve with fresh breads and vegetables.